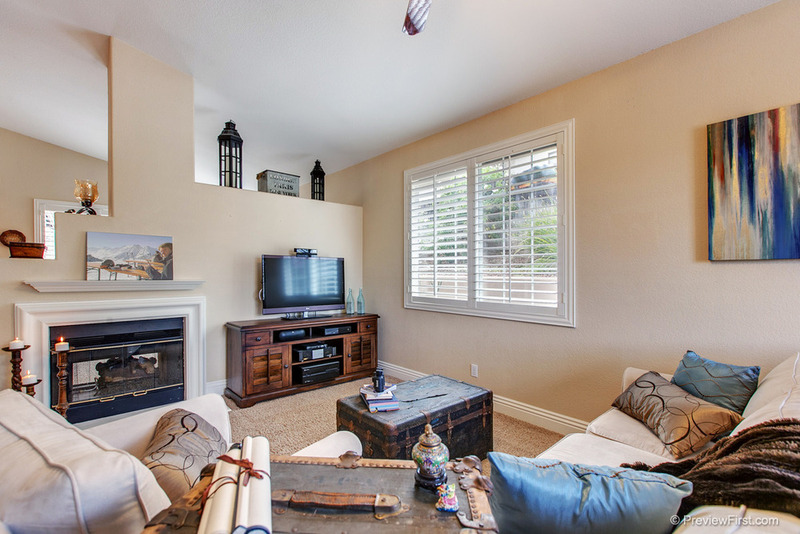 This beautifully upgraded and meticulously maintained single level home is sure to please. 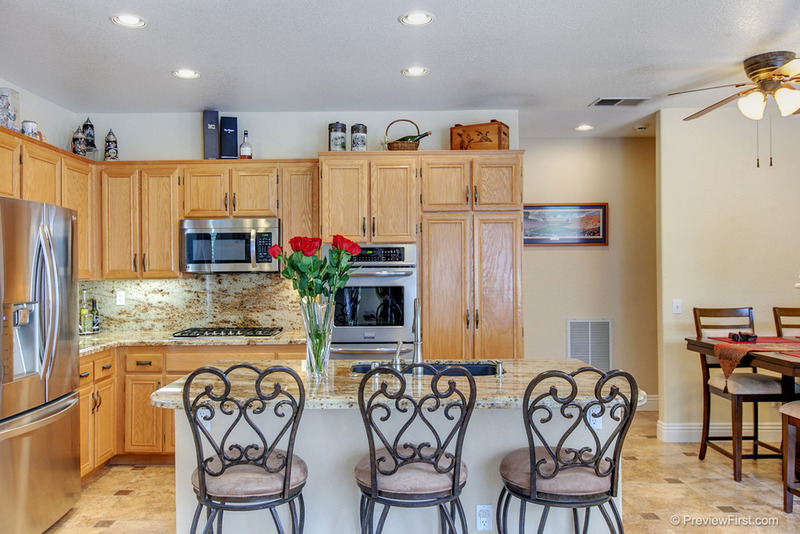 With luxurious granite counter tops in the kitchen and baths, stainless steel appliances and vaulted ceilings, this rare gem exudes elegance and charm. A double-sided fireplace projects a warm, inviting and relaxing atmosphere in all interior sitting and dining areas while the large entertaining patios and water-wise large turf grass play area make this home appeal to all ages and life stages. With natural light filtering in through all sides of the home and multiple doors leading to the outdoor areas, this home really enables true indoor/outdoor living at its finest. Appreciate the convenience of the easy access to I-15 and SR-78 but don’t let the nearby freeway fool you; the backyard and interior of the home are very quiet and peaceful. Located directly adjacent to community hiking trails and just minutes from shopping, restaurants, downtown Escondido, Lake Hodges and more, this home has it all.